Our Priority is to provide quality service for the lifetime of your Scott Safety equipment to ensure you get home safe to your family. 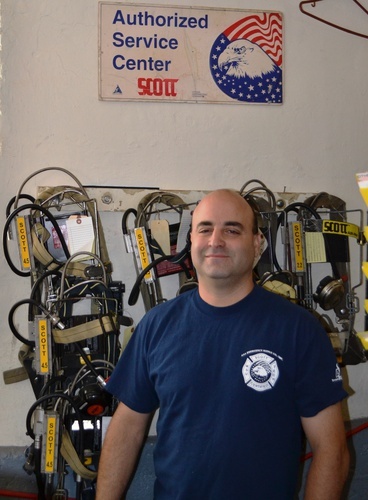 The services we provide include: SCBA Upgrades, Hydro Testing, General Maintenance, Flow Testing & Calibration, and Quantitative Facepiece Fit-Testing. All services offered can be completed in our Authorized Scott Safety Service Center in White Plains, NY or at your doorstep with our mobile service unit (with the exception of Hydrostatic Testing, which must be performed at our Service Center). Regardless of where it takes place you receive the same quality service from our highly trained and qualified Scott Service Technicians. In addition, to servicing Scott Safety products we also provided sales and service of Eagle Air Cascade Systems and other fire service equipment, such as Cutters Edge and Partner Saws.